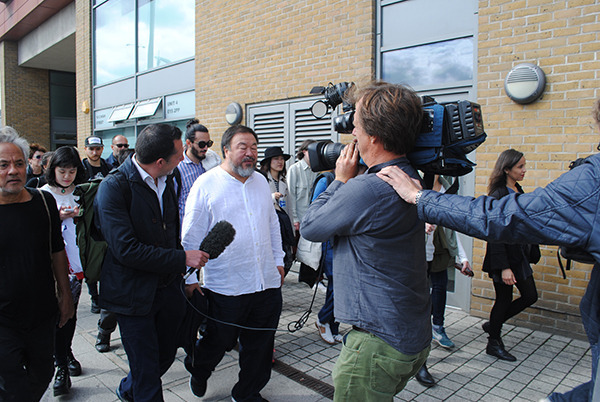 It has been a particularly busy year for the acclaimed dissident Chinese artist Ai Weiwei. Artlyst even joined Ai and Anish Kapoor when the artists joined forces for a walk across London as they strode down London’s Piccadilly at the beginning of an eight-mile journey to show solidarity with refugees around the world. We even got to talk to Ai and Kapoor as we crossed London with a throng of supporters and journalists in tow. You can read our exclusive here. 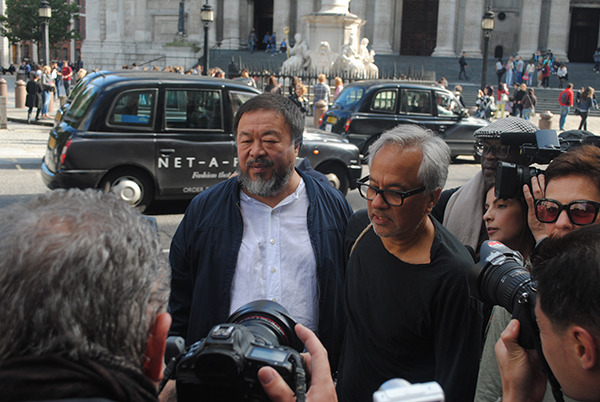 Image: Ai Weiwei and Anish Kapoor cross London in support of refugees, photo P A Black © 2015. The Royal Academy of Arts has also presented the landmark exhibition of the Honorary Royal Academician. Although Ai is one of China’s leading contemporary artists, his work had not been seen extensively in Britain until the Royal Academy presented the first major institutional survey of his artistic output. Read our review of the dissident Chinese artist’s retrospective here. Image: Ai Weiwei S.A.C.R.E.D. 2011-2013. Photo P A Black © 2015. 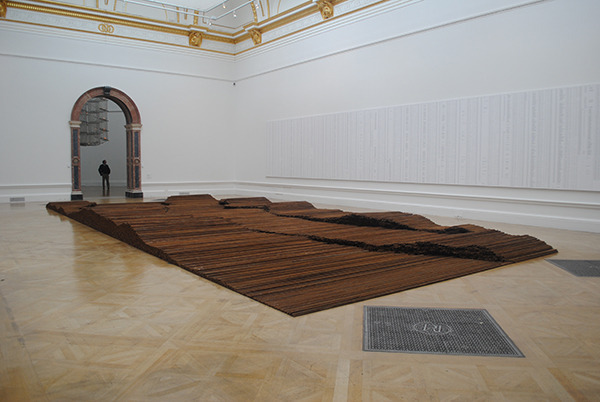 The exhibition included significant works from 1993 onwards, the date that marks Ai Weiwei’s return to China following more than a decade living in New York. Ai created new, site-specific installations and interventions throughout the Royal Academy’s spaces. Image: Ai Weiwei Straight, 2008-2012. Photo P A Black © 2015. 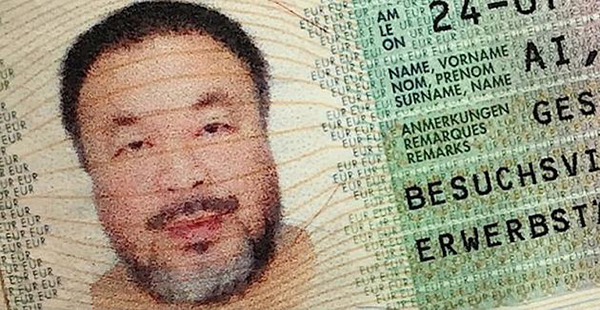 These events were only made possible after the artist who is also a prolific user of Instagram posted a photo of himself holding a Chinese passport to his 110,000 followers earlier this year, with the words, “Today, I got my passport.” The Chinese government had finally returned Ai’s passport after the authorities revoked Ai’s travel rights four years ago, seizing the artist’s passport and declining requests to allow him to leave the country. In 2011, the artist was beaten and detained for 81 days by the Chinese authorities and his passport confiscated. It was in fact Ai’s activism that lead the Chinese authorities to arrest the artist for alleged tax evasion and hold Ai in solitary detention. 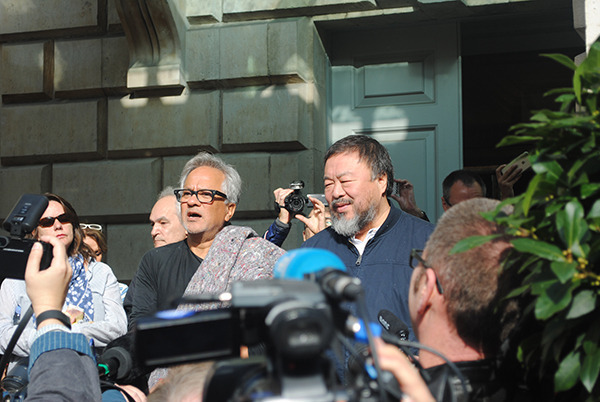 In an act of solidarity and support from his fellow artists and architects, Ai was elected an Honorary Member of the Royal Academy of Arts in May 2011. Then in a typically bungling and incompetent turn of events Ai was then refused a six-month visa by the British government. Luckily for the UK’s cultural standing this embarrassing incident was rectified when Teresa May, Britain’s Home secretary ordered officials to issue the artist a full six-month UK visa, reversing an earlier decision not to grant him the travel document. May told the BBC that she was personally “looking into” the case of the dissident Chinese artist. Read our news story here. The Chinese dissident artist then went on to receive a visa to stay in Germany for three years and has taken up a teaching post at a Berlin university. Ai will now start teaching as a guest professor at Berlin’s University of the Arts, said his spokeswoman at the time. “The university position will be for three years and during this period he will spend a lot of his time in Germany,” she added. As well as regaining his freedom to travel the artist has also had his fair share of negative events in 2015; even using his favourite Instagram in a stream of posts responding to the Chinese government, and its ambassador to the UK, Liu Xiaoming, made comments about the artist’s arrest over alleged tax evasion; this occurred as president Xi Jinping began a high profile four-day state visit to Britain. 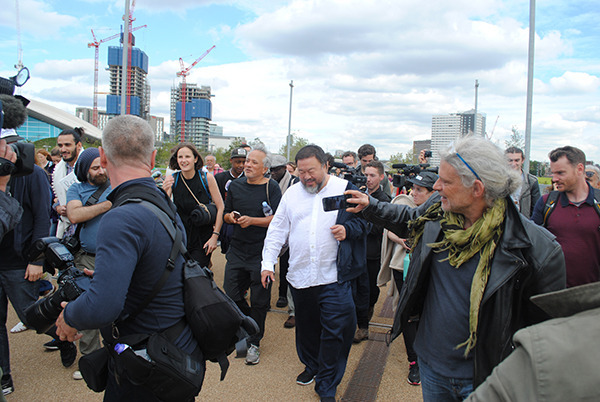 Image: Ai Weiwei crosses London in support of refugees, photo P A Black © 2015. In the Instagram post, the artist displayed his tax documents, laid out in several rows, stating: “Chinese ambassador to the UK is not telling the truth. Here are all the tax documents that the police illegally seized and then returned along with my passport after four years.” Read our article here. Image: The collection point outside Ai Weiwei’s retrospective, RA courtyard. Photograph: Twitter. 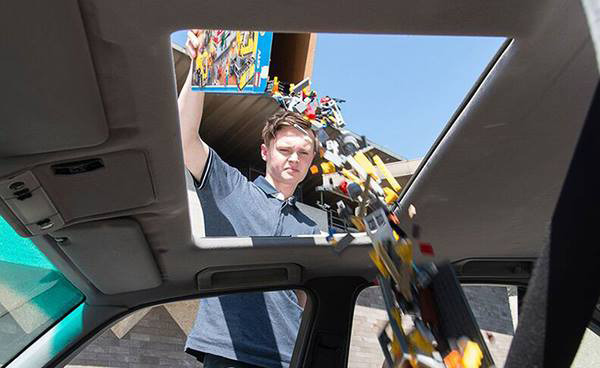 As a result the artist announced a series collection points around the world where supporters could deposit their Lego donations, including London’s Royal Academy, which was the location of the artist’s blockbuster retrospective at the time. See our photo feature here.